Since 1959, Boatnik has been held every Memorial Day weekend along the Rogue River in Grants Pass, Oregon. For more than 50 years families have enjoyed this five day event that supports the children and youth programs of the communities of Southern Oregon. This is an activity-packed weekend! 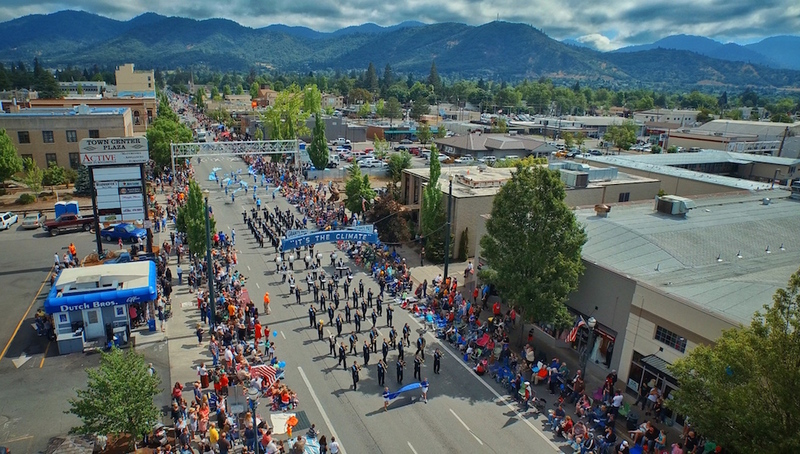 You'll find boat races on the Rogue River, a parade in Downtown Grants Pass, a golf shoot-out at Riverside Park, a men’s fast pitch tournament, an animal petting zoo, and fireworks on Friday and Sunday at Riverside Park. This is held as a fundraiser by the Grants Pass Active Club and proceeds benefit the entire community. Bring the whole family for this one! -Carnival: The carnival begins Thursday afternoon at 1:00 and runs till midnight each night through Monday at 8:00. Located in Riverside park are featured rides for all ages. On the lower level is the main carnival rides and booths. The upper section, closer to park st., features kiddie rides to create a safer age appropriate atmosphere. You can purchase per ride tickets or all day arm bands at Boatnik or pre-sale armbands are discounted. Also featured is our 100+ gift, craft and food vendors lined up on the central parking area and the crafts section continues into the grass area toward 7th st.
-Parade: Starts at 10:00 AM on Saturday. Theme - "Anyone can be a superhero for kids"